We spend a third of our entire life on a mattress, in fact, the average human swats up to half a pint of sweat each night. This might make you think that the mattress would be one of the top items on the list of regular cleaning duties but we rarely ever think about it. 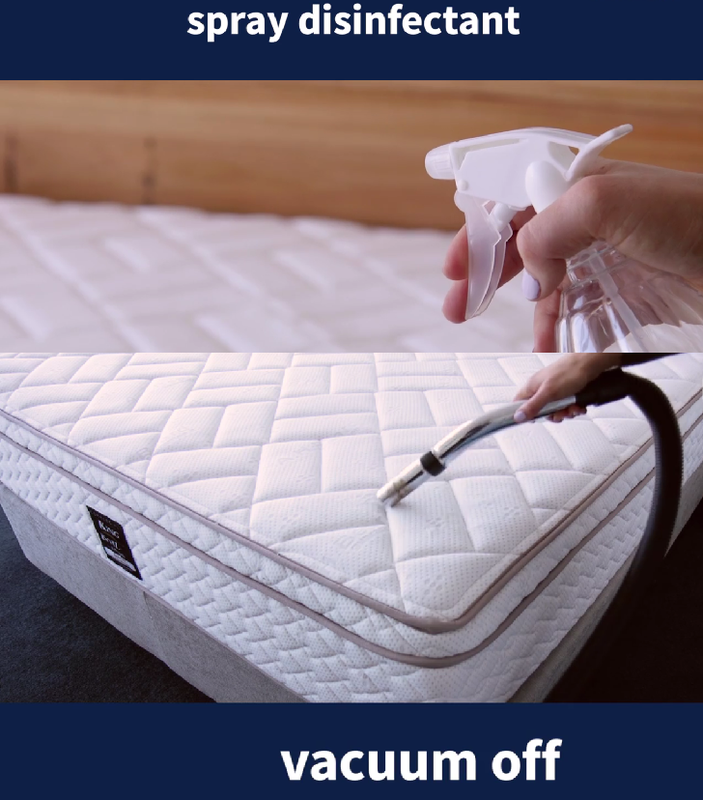 Your mattress harbors dust, stains, dead skin cells and even dust mites, it is important to prevent it from becoming a health hazard due to the build-up of grime, besides a well-rested night comes largely from clean and serene environments. A few quick tips can be employed to regularly maintain your mattress, take it out at least twice a year to sit under the sun for about six hours, rotate your mattress every so often. Ensure to have absolutely no water on your mattress, the foam wasn’t created to handle liquids at all, they get trapped in the structure with nowhere to go. The third handy tip will help save the mattress from stains and spills, invest in a mattress protector. Stains come in three main varieties, namely protein, tannin, and grease with protein being the most prevalent; it is found in most body liquids from blood to sweat and even urine. With any stain, it’s always best to tend to it as soon as possible to avoid it setting in. for liquid stains, blot them up with a cool, wet cloth and absorb the excess moisture with a dry cloth. When cleaning spot stains it’s recommended that you use pressing motions rather than circular ones to avoid further rubbing in the stains and always use cold water for protein stains. To ensure your mattress receives a thorough cleaning you may want to bring in an expert, with access to trained professionals and specialized equipment they are able to perform the task to perfection ensuring your mattress remains in spectacular condition. They make use of equipment that is able to steam clean and deep clean benefiting not just individuals with allergies but also anyone with a desire for a clean mattress.